The Taiwanese PC vendor showed off the devices during a pressconference a day before the Computex show in Taipei, as companyexecutives said they were focusing on new form factors to improve ontablet and notebook designs. The smaller of the two tablets, the Iconia W510, features a 10.1-inchtouchscreen that also comes with an attachable keyboard. Onceconnected, the keyboard can extend the device’s battery life by up to18 hours, and also be flipped on its back, turning it into a stand thatcan prop up the tablet. Acer’s new W510 tablet has atouchscreen and a detachable keyboard that can be used to prop it up. 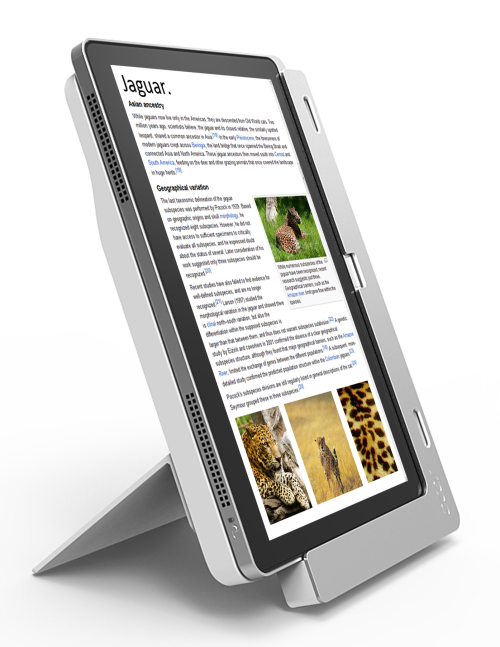 The second tablet, the W700, has an 11.6-inch full HD touchscreen, andcomes with an attachable “cradle”, which acts as a stand to tilt thedevice at 70 degree or 20 degree viewing angles. The W700 tablet alsofeatures three USB ports. Acer declined to reveal exact pricing and technical specs for any ofthe devices. Both tablets, however, are built with Intelmicroprocessors. In the case of the W700 tablet, the device usesIntel’s new Core line of chips codenamed Ivy Bridge. A slide duringMonday’s presentation showed that the company was aiming on pricing theW510 from US$599 to $799, while the W700 would range between $799 and$999. Acer also unveiled a pair of ultrabooks on Monday. 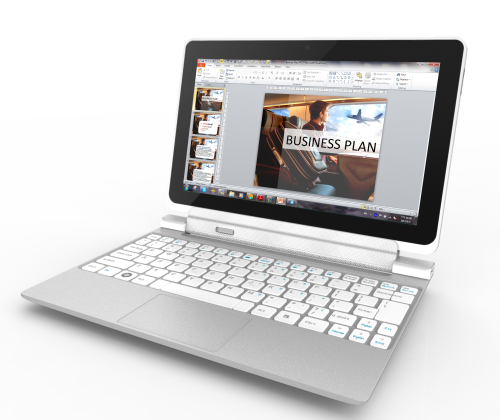 The twoultrathinlaptops are part of the Aspire S7 series, and are both built withtouchscreens. The 11.6-inch model has up to 9 hours of battery life,while the 13.3-inch model has 12 hours. The 13.3-inch model, however,can open its display screen to a 180-degree angle. Both devices alsorun Intel chips. Acer’s W700 tablet has anattachable “cradle” so users can prop it up. According to a company slide, the two new ultrabooks will be priced ata range of between $999 and $1,799. Following Monday’s product announcements, Acer CEO JT Wang said thecompany was heading in the “right direction.” Last year, Acer’s marketshare fell down to fourth place globally as PC sales have lagged due touncertain economic conditions and competition from Apple’s iPad. The company and other PC makers are now betting on Microsoft’s Window 8OS to help reignite the PC industry. “Windows 8 is abreakthrough andits going to benefit the end users,” Wang said. Microsoft, Intel and other PC vendors including Asus are expected toshow off various new tablets and ultrabooks running Windows 8 duringthis year’s Computex show.